So I’m sitting on my couch using my laptop, surfing the web like there’s no tomorrow since Football season isn’t looking too promising. I’m not really interested in Baseball because the game’s too slow and I practically fall asleep, even when I’m invited to one. Finally, I came across an article related to Hockey and it seems like the Pittsburgh Pinguins are big news this year! I’m also not really a fan of hockey, but it’s definitely more interesting and exciting than Baseball, specially because of the speed and brawls. You see, when I was a kid my Dad bought me this movie called, “The Mighty Ducks” starring Emilio Estevez and some unknown stars, who actually grew up to become really popular. After watching the movie for the first time I became obsessed about playing Hockey and made my Dad buy me roller-skates, a hockey stick, a street puck, and helmet. I made all my friends watch it whenever they’d come for a sleep over, and soon after had enough followers to play in the alley. 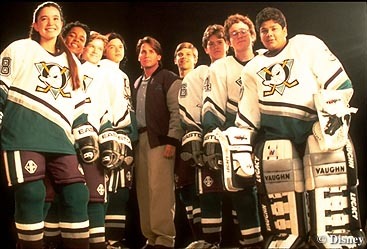 I also learned the Anaheim Mighty Ducks named their team after being inspired by the movie. Now that I’m much older it seems immature to suit up for Hockey in a place as hot this one. So instead, I grabbed a cold beer and wrapped it with a foam koozie, kicked back and watched hockey highlights of brawls and power-plays in YouTube. Go Paul Kariya!!! Oh wait, he retired… Didn’t he? OBC is almost here and Keith Olbermann is back!!! So, I am getting ready to launch my new website OBC to promote the best koozies on the web and damn Olbermann is stealing the spotlight along with Gore. You would have thought both these guys have had enough press time and that they should share the spotlight – but none of them are. I am not pissed – just a little upset. You see, I have been running the custom koozie business for years and I dont ask for much, just a little TLC every now and then and my 15 minutes of fame. Unfortunately the liberal news network owned by Gore and hosted by Olbermann is not going to let me get mine. I think I am going to send some personalized koozies to Olbermann to see if he likes them, and, if he does – who knows maybe he will promote them. Bieber - needing some Koozies. So, we are thinking of launching a new site and we think we have the concept ready to roll. We are currently developing a new Koozie site to roll out in the next 60 days – right here on this URL. The site is going to be different from any custom koozie site you have ever seen. There are going to be a lot more photos and an order form that is going to be state of the art. You will be able to design anything and I mean anything! Custom Koozies galore is a better way of looking at it – We are still developing the concept, logo, products, and order form – nevertheless, I thought we would let you guys know what to expect. As you all know expectations are what leads to joy when they are met. OBC Logo - Ready to print Custom Koozies! , we will not meet your expectations we will beat them! Sophistication is a very essential trait that one must possess in his attitude. Sophistication is appreciated by one and all. A general habit of covering the glass of wine or a bottle of cold drink or beer is said to be a very decent behavior. For this purpose generally paper napkin or a towel is used. But the paper napkins are very thin and tend to dissolve as they get wet. Thus a more durable and trendy covering was introduced. This is called as koozies. They are made up of some kind of spongy material or with a thin sheet of foam. This makes them more absorbable. The vibrant colors of koozies make them more appealing and attractive. They are also used to hold or cover the bottles in which the small babies are fed milk. The hot bottles may burn the tender skin of babies’ palms. Beer koozies and can koozies are used to cover the bottles of beer and cold drinks or diet drinks respectively. The beer koozies and can koozies are provided free of cost by the beer and cold drink companies respectively. The names of the beer and soft drinks manufacturing companies are printed on them. This makes them an effective mode of advertisement. They also help in keeping the hands of person holding beer or soft drinks bottles warm and dry. The beer and other beverages are filled in the cans or bottles with some kind of gases that tend to attract moisture. This moisture condenses and forms dew drops at the surface of the cans or bottles. This is why the cans and bottles become wet and slippery. Thus the coverings of this type help a lot in holding the bottles and cans. Zipper neoprene koozies are more comfortable and can accommodate comparatively larger bottles than the ordinary koozies. The zipper in the zipper neoprene koozies makes them more stylish and accommodating. Many people prefer them because of their looks. The personalized koozies or the custom koozies are becoming very much popular. The wedding koozies and the graduation koozies are a type of the personalized koozies or the custom koozies. The wedding koozies are used as a return gift in many marriage ceremonies. The names of bride and groom are printed on them. Thus they help in preserving the precious moments of the auspicious day. The graduation koozies also act as momento of the graduation ceremony. They come with a small graduation hat that acts as a cover over the neck of the bottle. People are taking keen interest in giving them as a return gift to their friends and family members who come to attend the graduation ceremonies. The author thinks that the koozies are a better way to cover the bottles and cans of beverages. They come in many vibrant colors and this makes them even more interesting. The koozies are considered to be one of the most economical promotional goodies. Cheap koozies can be ordered for any number in quantity. Cheap customized koozies are made up of some kind of absorbent material that is very good at absorbing moisture from the surfaces of the beer and other beverages’ bottles and cans. Such kinds of koozies are called as beer koozies or can koozies. The beer koozies and the can koozies are provided for free to the consumers. This is done in order to use them as promotional items. The names and logos of the beer and beverages manufacturing companies are printed on them so that the person using these koozies becomes a free advertiser for the specified brands. The personalized koozies and the custom koozies are also becoming very much popular among the people as they can be used for various purposes. The wedding koozies and the graduation koozies are a type of personalized koozies and the custom koozies. The wedding koozies and the graduation koozies are used as momentos and also as return gifts by many people. These are distributed to the people or guests who come to attend the wedding and graduation ceremonies. The zipper neoprene koozies are used to accommodate even larger bottles and cans which cannot be held using ordinary koozies. The zipper in the zipper neoprene koozies makes them more trendy and accommodating. Cheap koozies are used as promotional goodies. The koozies come in a wide range of colors and this makes them more appealing.